BeautyLoverInMD: How Do I Get All These Samples?! Outside of following the companies I like I Facebook where they offer free samples a lot and asking for samples at one of my favorite places, Sephora, I subscribe to 3 "sample" services. There has not been a month where the value of the box or bag was not greater than the price I paid. A lot of times, I receive at least 1 full sized product each month that is greater in value than what I paid for the month. This service is $10/month and you get anywhere from 4-6+ samples. They usually also add in an extra item that is not always beauty related. Then you have until the next month's box ships to review the products you received. When you do this you get 10 Birchbox points. When you reach 100 points, you get $10 in credit to use when you make a purchase from the site. This service is also $10/month. Last month I received several full sized products that was way more than the $10 I paid. 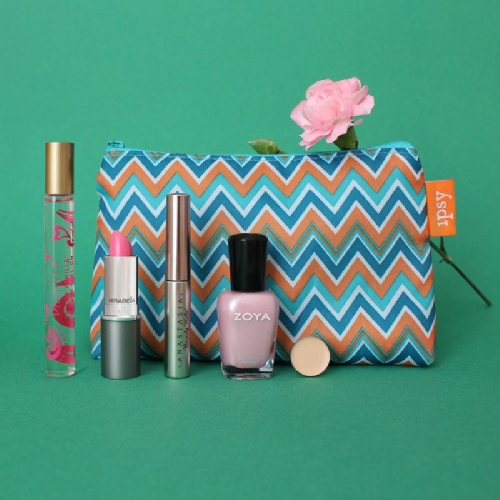 Also, each month you receive a makeup bag with a different pattern/material. This service also sends a card with a specific savings for each company or specific product if you choose to purchase an item. This is by far my favorite one for a few reasons....the value of the boxes are always way over the price per month and I have received A LOT of full sized products. At $21/month this is the most expensive but the brands I get to sample are high end and I could not be happier. While it will be very unlikely that I will ever purchase a full sized product is slim due to the cost, I love that I have the opportunity to sample them. This service also features a lot of brands from Europe.